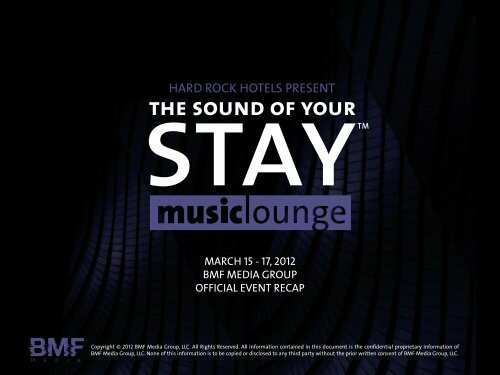 MARCH 15 - 17, 2012 BMF MEDIA GROUP OFFICIAL EVENT RECAP Copyright © 2012 BMF Media Group, LLC. All Rights Reserved. All information contained in this document is the confidential proprietary information of BMF Media Group, LLC. None of this information is to be copied or disclosed to any third party without the prior written consent of BMF Media Group, LLC.